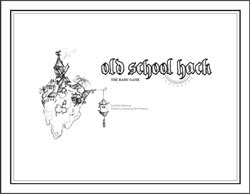 Old School Hack was a smash hit with my players. Awesome points and the Face Die are inspired mechanics and I love the whole arena and weapon category system. The best part about the game is that it plays well with ZERO preparation. 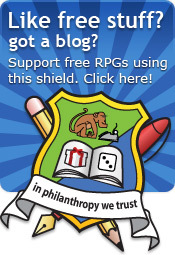 "Zero-prep, cocktail-napkin D&D" was basically the design goal. This is one of the best reviews ever written ever! And I'm not just saying that because it's about my game. Great review! Though I will say that the combat system actually impressed me a lot. I loved the idea of phase-based combat, which I'd never seen in an RPG before. 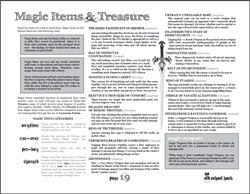 I think that as Old School Hack is a masterpiece of instructional layout that all roleplaying games should strive to emulate. Brennan - I disagree. For a large game, this kind of layout would not work as the GM will need to reference the system quickly. The layout, as attractive as it is, is not conducive to quick reference or picking out bits of rules. 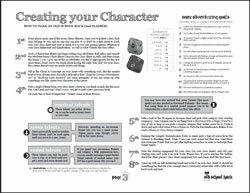 I would also recommend most roleplaying games used graphics to lift the text, rather than boxing-out rules here and there. 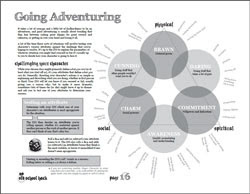 Every game suits a different sort of layout and although OSH makes good use of this style, I am not convinced it is the best way to get your system across and would advise authors to tread with care. Very interesting, I might have to give this a go. Thanks Rob - I'll give that a listen.